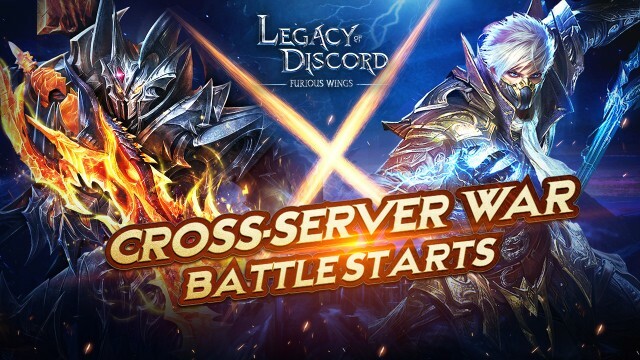 Cross Server War! Let the Blood Spill! Legacy of Discord is summoning all players to join a tournament of epic proportions. 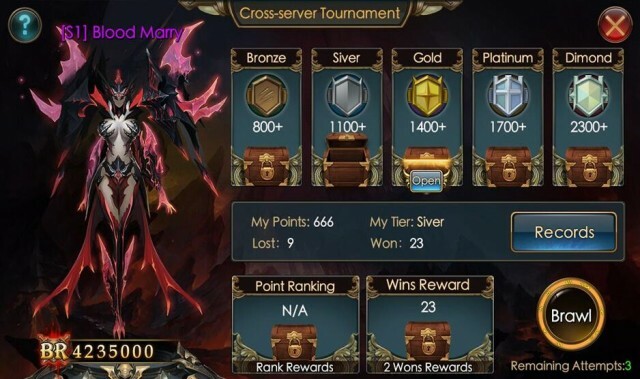 Cross Server War, one of the most anticipated PvP modes, will arrive on LoD soon! Players will have the chance to test against the world and see who truly is worthy of being called the champion. 1. Only players who signed up may join the prelims. The top 64 players of the prelims may participate in the Wars of the Four Realms, and the four winners from the four realms will participate in a final Battle of the Mightiest. 3. Challenging someone in the prelims and winning will give you points, and losing doesn't take away points. You may not challenge someone between 1:00 to 6:00 in the night. If you are challenged to battle by another player and end up losing, you will lose points. There's a set number of times you can lose points; once that number is reached, your points will no longer be deducted. 4. If overtime is reached in the prelims, the challenged player wins. If overtime is reached in the Wars of the Four Realms or the Battle of the Mightiest, the player with the higher HP percentage wins. 5. Bronze Token received can be used to purchase rare items in Cross-server Shops, which are often updated with more rare items. 7. 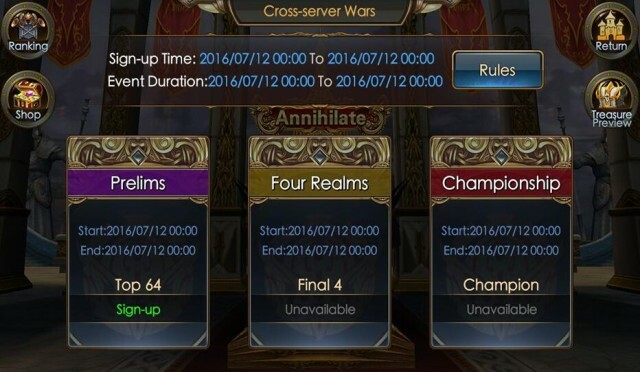 The player can keep the title until the next Cross-server Wars begin. Have you tried Legacy of Discord yet? Download one of the hottest mobile games of 2016 and play for free!